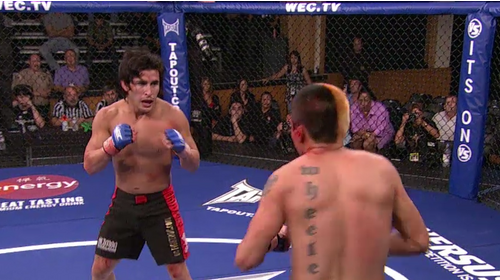 WEC 30: McCullough vs. Crunkilton from September 5, 2007. Rob McCullough vs. Richard Crunkilton WEC 30 Sep 5, 2007 (11:11) Making his first title defense, WEC lightweight champion “Razor” Rob McCullough whose Muay Thai striking skills earned him eight straight wins was set to scrap with Richard “Cleat” Crunkilton with his 17-1 pro record including 15 stoppage wins. Chase Beebe vs. Rani Yahya WEC 30 Sep 5, 2007 (31:50) Making his first title defense, WEC bantamweight champion Chase Beebe readied his 4x Illinois State Champion wrestling skills for a tangle with vaunted BJJ blackbelt Rani Yahya who secured his 11th submission win in his WEC debut. 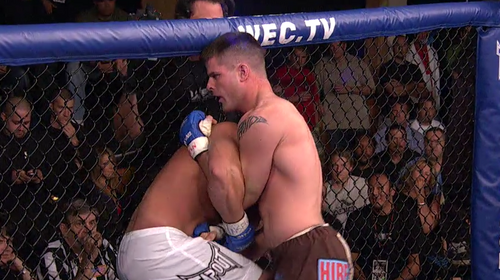 Brian Stann vs. Jeremiah Billington WEC 30 Sep 5, 2007 (7:36) Scoring his fourth straight first round TKO to kick off his pro MMA career, former US Marine Captain Brian Stann had dynamite in his fists and was set to prove it again as he faced Jeremiah Billington who was riding an eight fight win streak into his WEC debut. Miguel Torres vs. Jeff Bedard WEC 30 Sep 5, 2007 (5:09) Earning a decision win in his last WEC bout, undefeated Jeff “Little Popeye” Bedard with his nine straight wins entered the cage to take on a fellow win-streaker in debuting Carlson Gracie, Sr. protege Miguel Angel Torres with his insane 32-1 pro record. John Alessio vs. Marcelo Brito WEC 30 Sep 5, 2007 (22:50) Securing his third win in the WEC cage by a choke, John “The Natural” Alessio improved his pro record to 20-10 including 10 wins by submission and was set to scrap with debuting Thai Brasil product Marcelo Brito with his 6-1 pro record. Marcus Hicks vs. Scott McAfee WEC 30 Sep 5, 2007 (7:50) Securing a guillotine choke win in his WEC debut, “The Wrecking Ball” Marcus Hicks kept his 6-0, 1NC pro record clean with his 4th submission stoppage and readied to take on debuting undefeated Alaskan Scott McAfee with five of his six wins by finish. Bryan Baker vs. Jesse Forbes WEC 30 Sep 5, 2007 (10:24) The Ultimate Fighter 3 alum Jesse “Kid Hercules” Forbes was on a three fight win streak all by submission and was climbing into the WEC cage for a dueling debut with Bryan “The Beast” Baker with his 4-0 pro record with all his wins by finish. 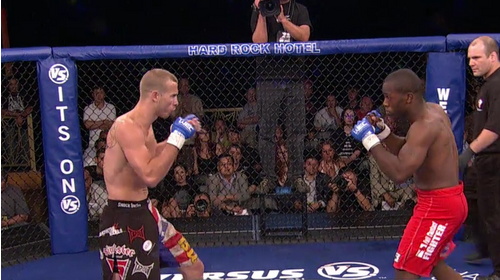 Donald Cerrone vs. Kenneth Alexander WEC 30 Sep 5, 2007 (6:18) An undefeated kickboxer turned undefeated MMA fighter, Team Jackson’s Donald “Cowboy” Cerrone was riding seven straight submission wins into his WEC debut against a fellow first-timer in Bad Boy USA’s Kenneth “The Machine” Alexander, who owned a 5-2 pro record. Blas Avena vs. Joe Benoit WEC 30 Sep 5, 2007 (5:56) Submission specialist Blas Avena secured a rear naked choke in 61 seconds to net him his first WEC win in his second appearance. Up next, the 4-1 pro took on debuting Gilbert Grappling product Joe Benoit with his unblemished 4-0 pro record. Ian McCall vs. Coty Wheeler WEC 30 Sep 5, 2007 (22:56) Nothing like a debut war between a pair of undefeateds as Coty “The Ox” Wheeler with his eight straight wins including seven submission stoppages collided in the WEC cage with wrestling & striking ace Ian McCall with his 5-0 record including four KO/TKO wins.